This baccarat variation sometimes is considered to be Poker game but its origins are not particularly known: it is believed today that Super Pan Nine had been originated and developed from other baccarat games as it consists of their qualities. Certainly, it should be said that Super Pan Nine has a row of specifics which are absent at all other baccarat games; they will be described below in details. 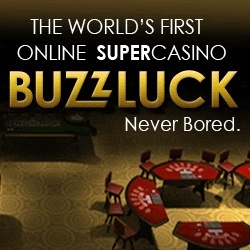 You will definitely like this game if you look for something new in baccarat and do not want to betray it for any other casino game: Super Pan Nine gives more opportunities for a gambler to choose a strategy to play; gambling experts, Wizard of Odds for example, develop special techniques and provide odds for Super Pan Nine; besides, this game is very exciting to play. So, why not to try? 1. It is played with 12 decks of 36 cards. 2. The cards of 7's - 10's are absent in decks. 3. Every player is welcome to play the role of a dealer: this player has a right not to make a wager. 4. Three initial cards are given both to a dealer and a player: they have a right to take only one more card. 5. If a gambler plays the role of a banker, s/he can choose whether to take one more card or not; if a banker is played by a casino dealer than s/he takes one more card if has 0-5 points (if a player takes the fourth card). 6. A player has a right not to be a banker if s/he does not want; in this case the role of a banker will be played by a gambler who sits next to him/her. 7. 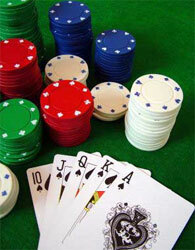 If a player does not take the fourth card, a dealer has a right to take the card if his/her points are 0-6. 8. Gamblers play here not against of a casino but against of a banker! A casino just takes 5% of commission. 9. Bets are made before the cards are dealt. 10. Super Pan Nine is available online today too: be careful as different casinos can provide different rules specifications in order to make the game being more attractive to you. The main thing is to know all of them before playing. As you can see, everything is very easy and rather funny. Actually, Super Pan Nine has found many admirers already thanks to its interesting rules and more chances to win. Well, anyway, baccarat casino game has a lot to surprise us with, not only many variations of the game.